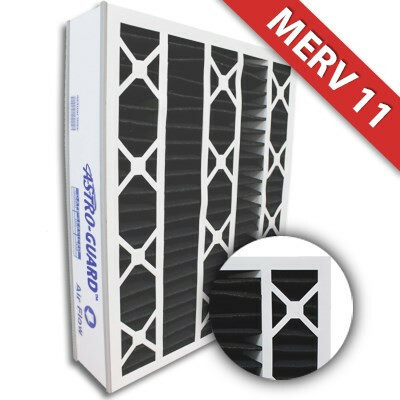 20x25x5 Astro-Guard ABP Activated Carbon Merv 11 Replacement for Trion / Air Bear 259112-102-C | Air Filters, Inc. The Air Filters, Inc.™ Astro-Guard™ MERV 11 Activated Carbon Whole House Attic 20x25x5 Replacement filters can be used in all compatible size air ducts plus Trion™ / Air Bear™ cleaners that require a 20x25x5 filter. 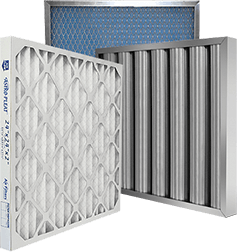 The Air Filters, Inc.™ Astro-Guard™ MERV 11 Activated Carbon Whole House Attic 20x25x5 Replacement filters effectively reduce/remove pollen, dust, pet dander, dust mites, mold spores and environmental smog from circulated indoor air. Filtering these airborne particles can help alleviate allergies and sinus irritation that can cause watery eyes, itchy throat, coughing, and sneezing. Additional benefits are extending the life of your Air Conditioning / Furnace system by allowing the system to work more efficiently and economically. 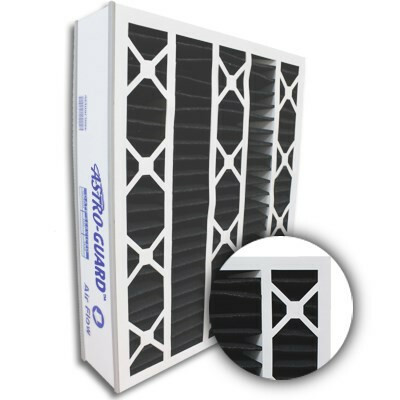 Air Filters, Inc.™ Astro-Guard™ MERV 11 Activated Carbon Whole House Attic 20x25x5 Replacement filters use the optimum blend of synthetic fibers to insure high dust holding capacity and filtering efficiency.